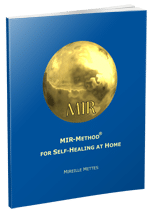 In the Netherlands the MIR-Method is giving many people relief from their health issues. The MIR-Method is quite a wonderful self healing method. It is easy to use and free to spread to others. Adults, children and animals respond well to this method. Some of the results are: nettle-rash gone, sleepdisorders disolve, menstruation problems gone, wards and cold sores are history. Give it a try!